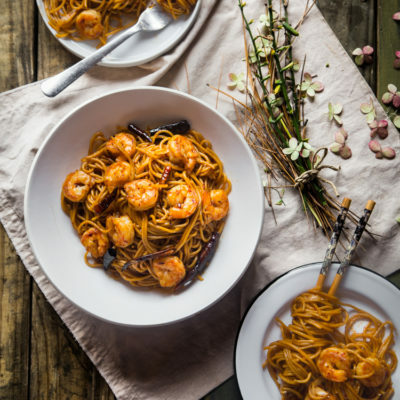 Spicy Kung Pao Noodles with shrimp is inspired by the famous Szechuan Kung Pao Chicken. The spicy, savory, sweet, and tangy sauce is one of the elements that makes this dish addicting. Making stir-fried noodles with this sauce is no exception !